The family of a retired Kineton High School teacher who died after being hit by a car has paid tribute to her. Marlene Sandra Head, 69, was struck by a car as she crossed Camberwell Terrace, Leamington, on Thursday, September 27. 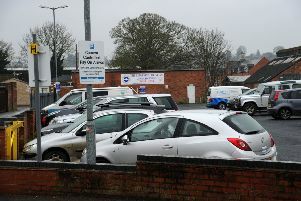 The 69-year-old woman, who lived in Leamington and also taught in Kenilworth, died 12 hours later in hospital. Following her death, Mrs Head’s family released this statement: “Over some 40 years’ teaching in Warwickshire, from the early 1970s at Kineton High School, then both St Joseph’s Convent and Crackley Hall School in Kenilworth, Marlene touched the lives of innumerable children and families. “Everybody remembers Mrs Head with admiration, respect and affection. “In her all too brief retirement, Marlene pursued a variety of interests with U3A and Village Voices choir. Police are continuing to appeal for witnesses to the collision that is believed to have occurred when a silver Mercedes C200 car turned from Radford Road onto Camberwell Terrace as Mrs Head was crossing the road. She was taken by ambulance to University Hospital Coventry and Warwickshire. Despite treatment in the intensive care unit, she died at 9.30pm. Anyone with information should contact PC Mark Russell on 101 quoting incident 84 of September 27.